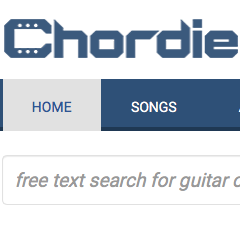 This video shows finding songs on Chordie.com and importing to MySongbook. This video shows a Mac, but Windows PC would be very similar. Perform Search at Chordie.com. Look for songs with CHORDS. Check content and quality. Get the “Chopro” version of the song and copy to clipboard. Paste in editor as plain text. Microsoft Word is shown and requires Paste Special… Unformatted Text. Save as Plain Text. Clean up format to match what is required by MySongbook. See below. Open attachment in mail on iPad/iPhone “open with” MySongbook to import.